Welcome to Hog’s Australia’s Steakhouse Springfield! Hog’s Springfield is conveniently located at the Orion Shopping Centre – Directly opposite Robelle Domain and the Orion Lagoon.. Before heading home after running some errands or doing a bit of shopping, treat yourself to our famous Hog’s Tail curly fries and a massive Ice Cream Sundae! We’re well-known for the things we do great: juicy and tender steaks, a large and scrumptious menu, a casual, out-going atmosphere and spot-on Hog’spitality. We have worked hard to earn our reputation and will work even harder to maintain it! If you are looking for a restaurant to take your dad out for a lunch, a place for a relaxed date night, or somewhere to go for a Birthday celebration, we have the food, the staff, and space to accommodate you! If you have kids, come in on Monday and Tuesday because they can eat for free! Every day of the week we are open from 11:00am to late and have $9.90 Lunch specials. Plus, we are fully licensed! We are the Great Aussie steakhouse with loads of grunt! Come on in and make it a celebration. Hogs Springfield is a locally owned, family restaurant. 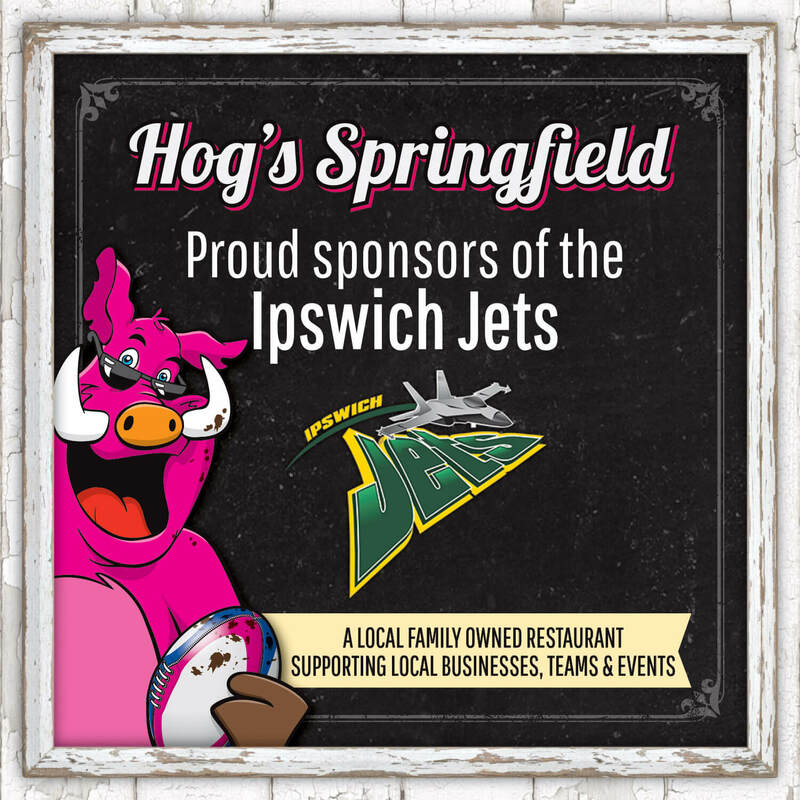 We believe in giving back to the community and proudly support the Australian rugby league football club the Ipswich Jets and the football club Western Pride!